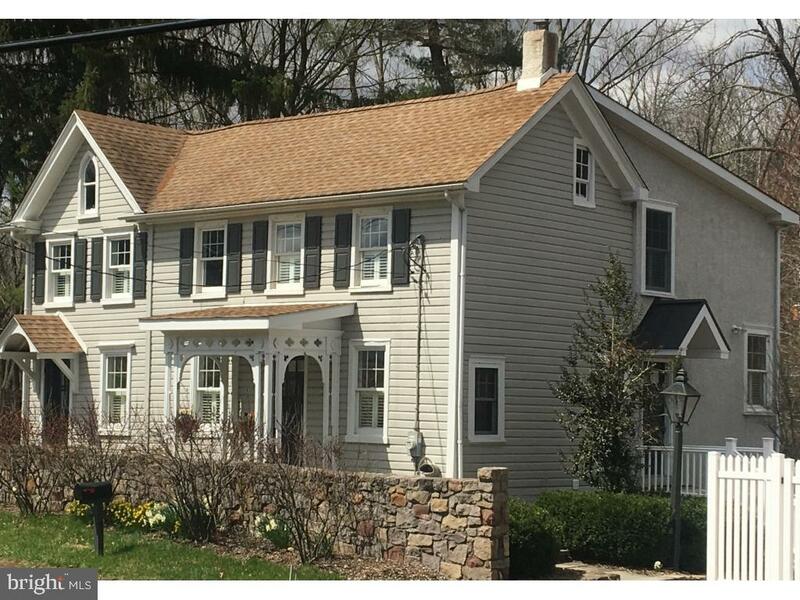 Turn-Key Quintessential Picture Perfect Carversville Home offers the best of both worlds in sought after New Hope School District! Seldom does a "Turn-Key" c1861 4 bedroom, 2.5 bath, historic home backing up to the Paunicussing Creek come on the market at this price point the home is completely renovated from top to bottom with brand new gourmet kitchen featuring white cabinets, new stainless steel appliances, white farmhouse sink, center island, granite counter tops, new slate floors, and all new lighting. 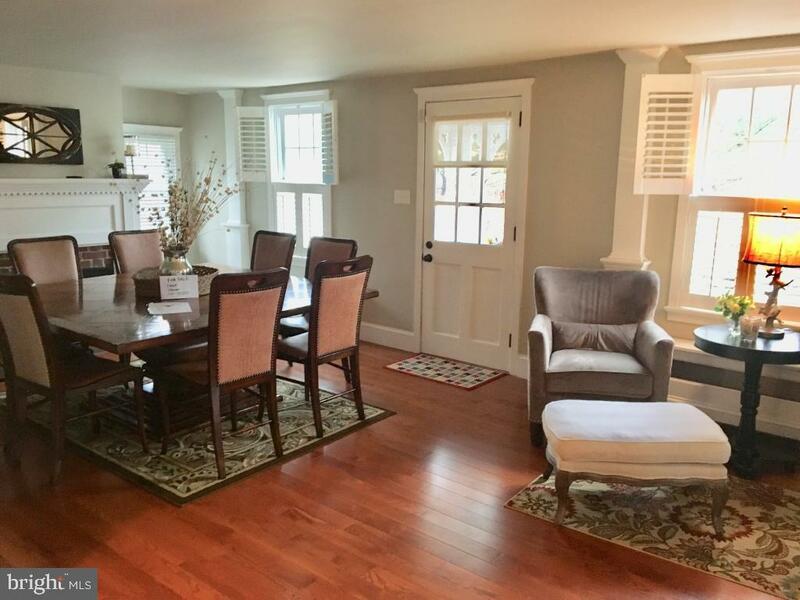 This home's fabulous renovation showcases magnificent lighting from lots of large windows, a serene, neutral palette interior, 9' ceilings, beautiful 3/4" hardwood floors throughout. Both staircases and original second floor random width pumpkin hardwoods were professionally restored. 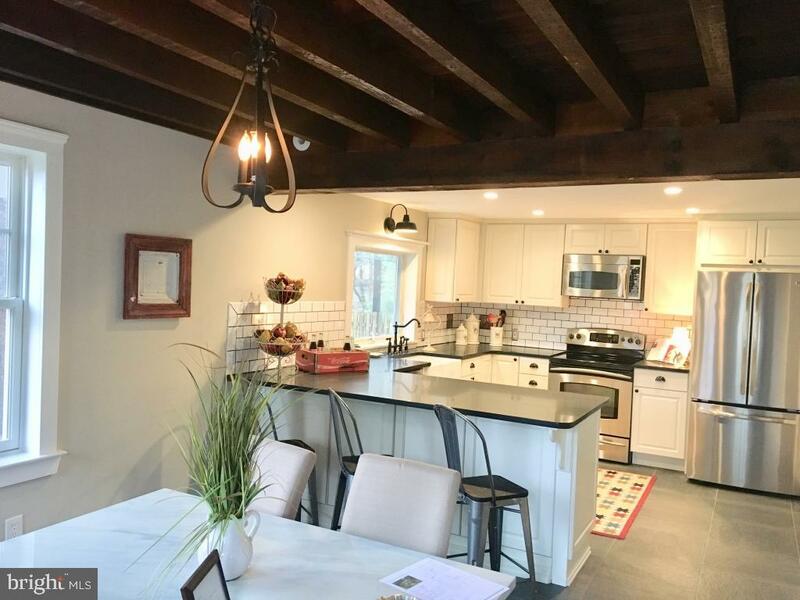 The home features a new gas fireplace in the main living room, family room with large bay window with great views, dining room with the original exposed beams, sunroom/office space with lots of natural light, and central vacuum. The upstairs features a large master suite with lots of windows overlooking the Paunicussing Creek, master bath with separate tub, separate shower, double sinks, walk-in closet and second closet plus three additional bedrooms, full bath with double sinks, laundry, two linen closets, and walkout deck. The lower level features a full staircase leading to a finished office, gym or playroom space with two closets, lots of extra storage space and a full stone separate entrance to the backyard. 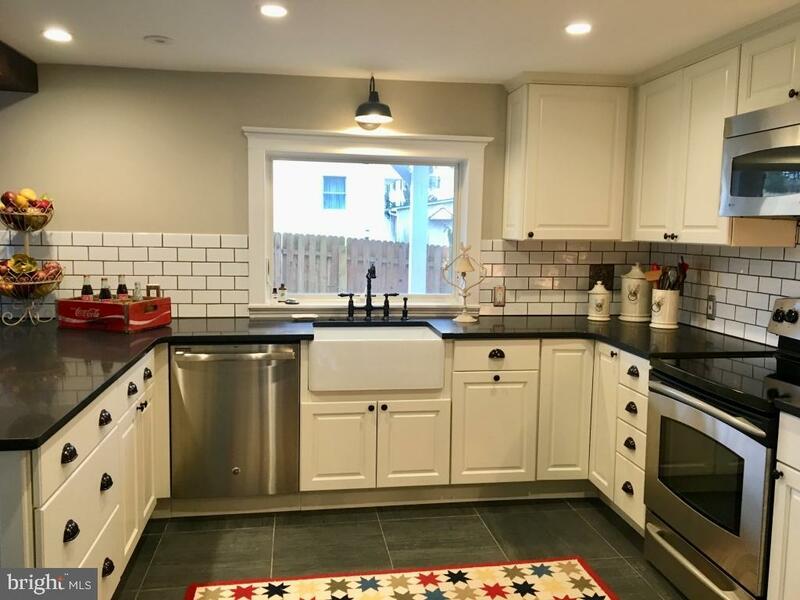 The outside includes magnificent stone walkways and lighting, new landscaping with mature trees and center piece magnolia tree, original 5' stonewall, detached garage, separate workshop, and storage space. Stroll to the Carversville Inn and Store and only a short drive to downtown New Hope and canal path. Must be seen!